Every beauty professional has passion. Some have passion for pampering, some for style and flash, some are passionate about wrinkle removal, some love everything alternative and natural. Daniela has a passion for pores. 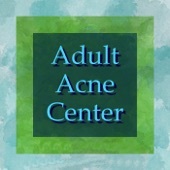 Every salon offers facials for acne. But not everyone gets the education and knowledge necessary to address breakout problems in every decade of life besides adolescence. Anti-aging products with the latest technology? Occasional dryness in the winter? Products that address these issues are almost always inappropriate for adult skin that breaks out easily. Most lines use base ingredients that clog pores like crazy! Using Daniela's skincare lines, Daniela's Skin Care and Mark Lees Skin Care, together with Daniela's exclusive skincare coaching service, you can finally get educated yourself on your skin and how to keep it clear and beautiful into your thirties and beyond. Cleansers that clean without stripping, moisturizers and sunscreens that won't clog pores yet keep the skin hydrated and functioning properly, sensitive skin products that actively calm skin down, and effective anti-aging products using the latest and best in skin care technology that everyone can use, including those who suffer mild to moderate acne. Daniela has been an Esthetician for over 20 years and in the beauty business for over 25. 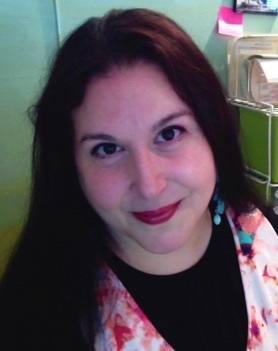 After years of languishing between retail sales, palm reading, tour operations and contemplating her navel, she began training in the art of Skincare and Makeup at Pivot Point International in Evanston, IL, graduating with distinction in 1998. After working at two salons in the Chicago neighborhoods of Bridgeport and Lakeview, she took the plunge and opened her own skincare salon in Lincoln Park in the Sheffield Gardens neighborhood, right down the street from DePaul University. It was a dream come true as just 5 years before, when classes were offered in Aromatherapy just around the corner, a future was envisioned right at the spot where she opened her Studio. Now relocated to the beautiful neighborhood of Ravenswood, Daniela continues to dedicate her career to educating clients age 25-55 about acne control, sensible, non-comedogenic anti-aging regimens, healthy makeup application and keeping skin clear and radiant at any age. Daniela also creates products such as ointments and balms for lips, cuticles and elbows, as well as masks, oil blotting setting powders and mineral makeup, and a revolutionary body powder designed for inflamed breakouts and itching called FerroRosa FrictionFix®. She also loves to sell the jewelry she makes, which is featured at periodic trunk shows in her Studio.